CHARACTER VEHICLE ASSORTMENT | American Plastic Toys Inc. Boats, planes, and trucks! 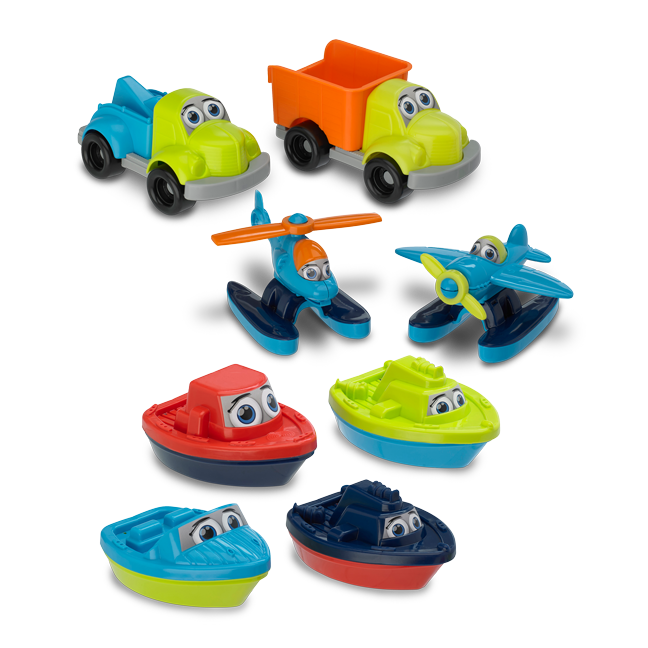 This colorful assortment of boats, trucks, helicopters, and planes feature characterized labels. Contact us for specific dimensions. Contact us for specific UPC's.